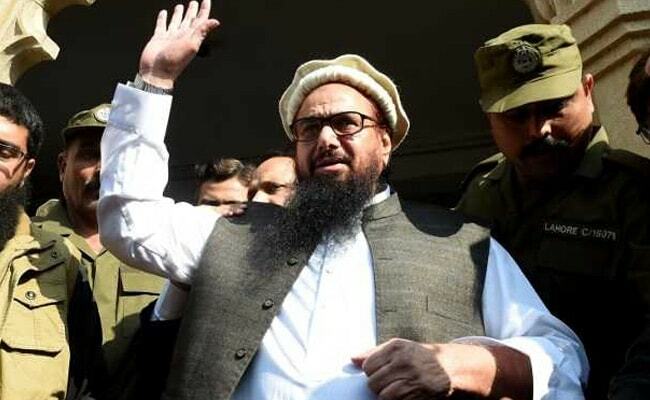 New Delhi: Welcoming the decision of the United States to label the Pakistan-based Milli Muslim League, a political party floated by Mumbai attack mastermind Hafiz Saeed, a terrorist group, India today said the move reflects rejection of attempts being made in Pakistan to mainstream terrorist individuals and entities. The external affairs ministry said it vindicates India's position that Pakistan has not taken effective action against terrorist groups and individuals. "It is also cognizance of the fact that terrorist individuals and entities are allowed to change names and continue to operate freely from territory under Pakistan's control," said Raveesh Kumar, the ministry's spokesperson. The move comes a day after the Election Commission of Pakistan asked the MML to produce a clearance certificate by the interior ministry for its registration as a political party. General elections in Pakistan are scheduled to be held in July. The commission had earlier rejected MML's application seeking registration as a political party after the interior ministry objected to its ties with banned terror groups. Besides putting MML on its list of foreign terrorist organisations, the US state department today also designated seven members of the group's leadership as foreign terrorists. The US also added Tehreek-e-Azadi-e-Kashmir (TAJK) to its list of terrorist groups. TAJK is said to be a front of the terror group of Lashkar-e-Taiba (LeT).